Today did not go according to plan. I was meant to have a lunch with a dear friend but unfortunately it was not possible. So I decided to actually get ahead of myself for once and wrap presents, write cards and plan our food for Christmas Eve, Christmas Day and Boxing Day. I was home alone so was quite confident of making good progress. How did I do? Well, wrapping things were assembled. A scented candle was lit, music of my choice was played as loudly as I wanted it and tea was made. I love my family dearly, I really do, but I am never home alone unless I am working. It was such a treat to be at home and able to relax. So I was looking forward to the tasks I had planned. After all, they are not tedious chores but little pleasures. 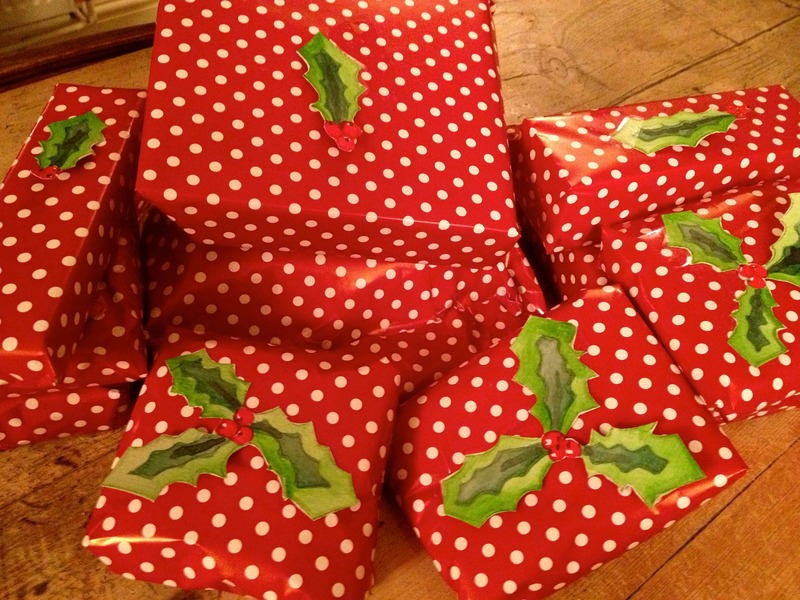 Some presents were wrapped. 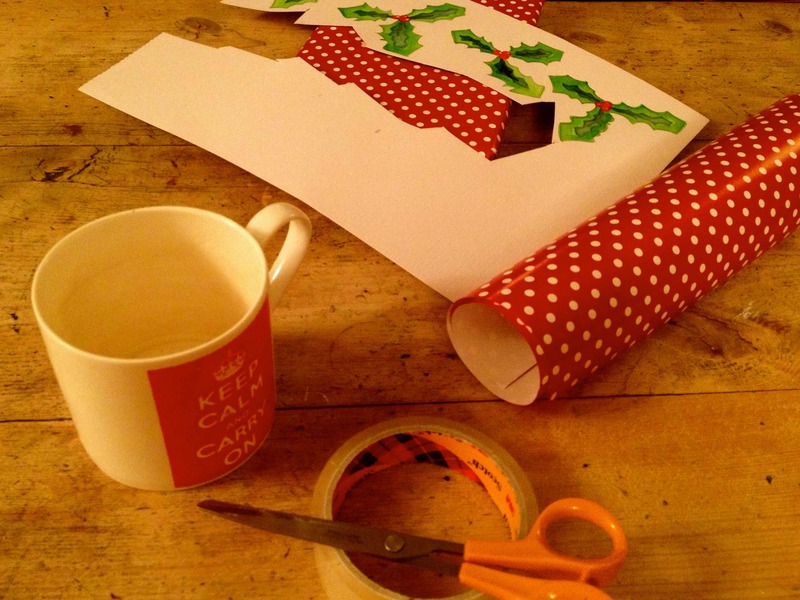 But cards written – nil. Food planning – nil. I just ran out of time. I had been out to buy some more presents and to get a hair cut and bumped in to someone I am very fond of but haven’t seen for ages. We had so much to chat about so we ended up at Jenni’s house which is in the high street of the town I was shopping in. It was lovely to see her and chat and laugh and time whizzed by. So not as many things ticked off my list as I expected but a fun morning. So how is my eating going at the moment? Definitely could be better. I make plenty of sensible meal choices but let myself be tempted too often. 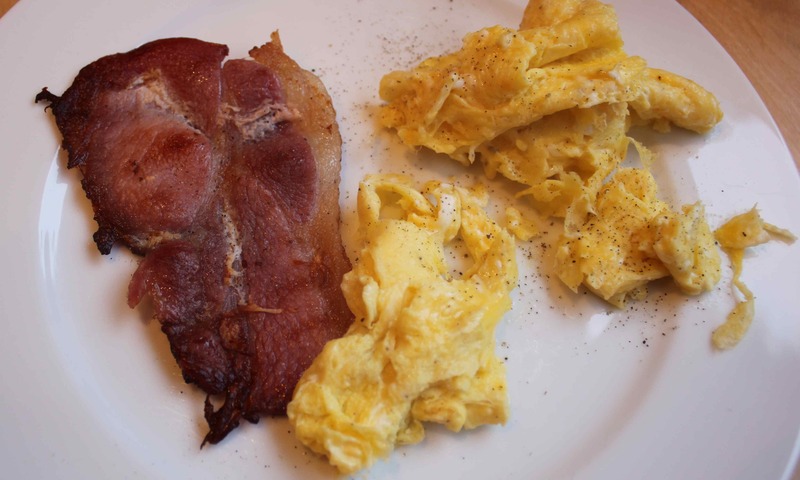 Yesterday’s breakfast was one rasher of bacon ( I always cut off visible fat when I eat it) with scrambled eggs. Today I had 1 fried egg on wholemeal toast. 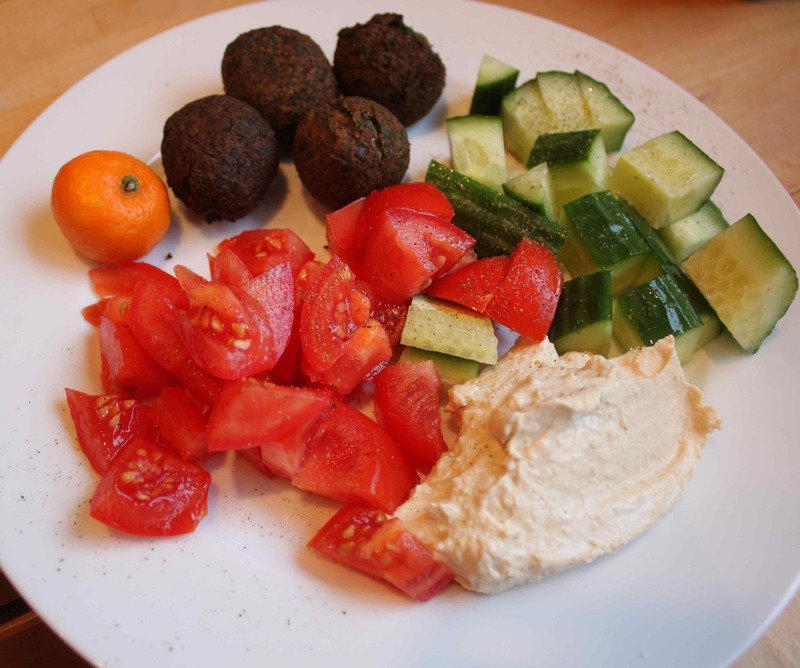 I am quite addicted to these delicious spinach falafels at the moment. Yesterday I ate some with cucumber, tomatoes and humous followed by a tiny little satsuma. The same size as a falafel. They are very sweet and my children love them. 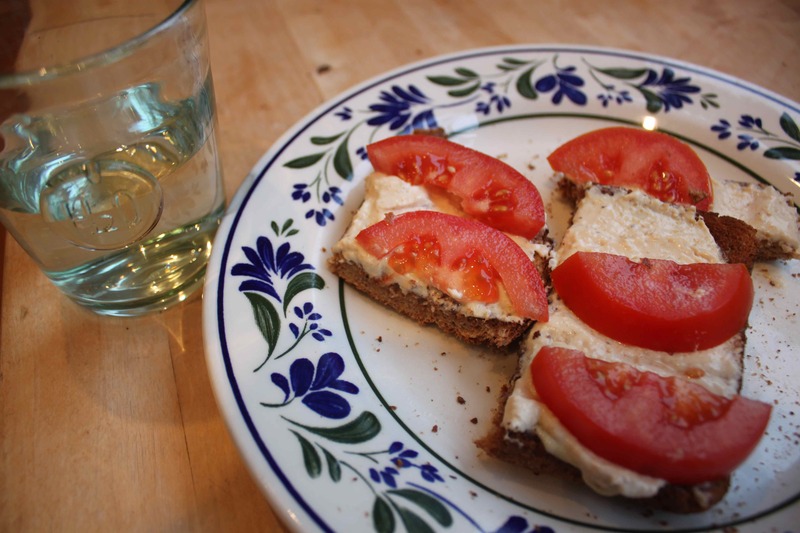 Today I was in more of a rush so I had humous and tomatoes on wholemeal toast. I have been really good at drinking lots of water recently which I can be a bit slack about at work. 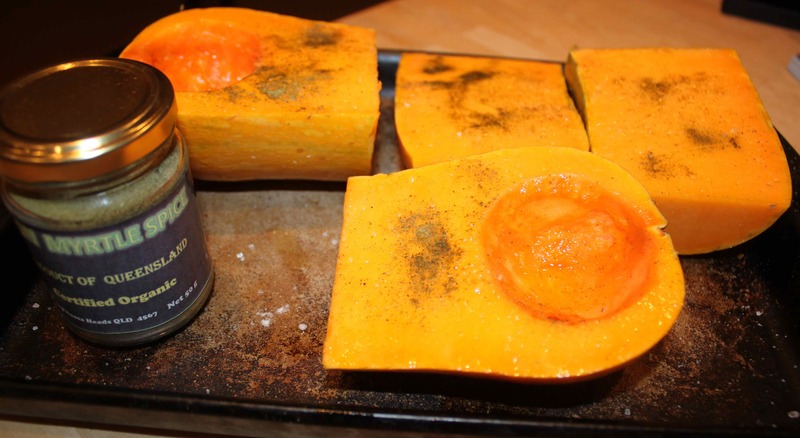 For supper tonight I baked a Coquina Squash in the oven. I cut it in to quarters, scooped out the seeds, rubbed it all over with olive oil, added salt and some lemon myrtle which we brought back from Australia this summer. The lemon myrtle smells quite heavenly. I popped the squash in the oven and it took about 3/4 of an hour to cook through on 170 ° C. Served with a Wild Alaskan salmon fillet and broccoli. I have read recently that is it healthier to buy the wild Alaskan salmon than the certified organic salmon. 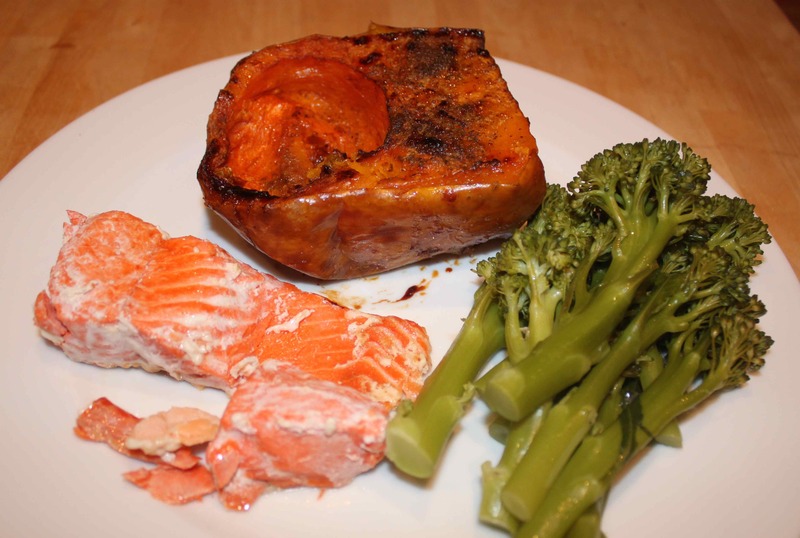 The wild Alaskan salmon is darker pink and much firmer than the farmed salmon. This is salmon as it should be, firm because it has to swim a lot to survive. The downside to farmed salmon is that it doesn’t swim as much as its wild counterparts and so doesn’t develop so much muscle. The farmed salmon is also much fattier. But to be certified organic it has to be farmed. Interestingly most people these days, including my children, prefer the paler pink farmed salmon as that is what we are used to eating. I usually opt for organic products but not salmon. I always choose the Wild Alaskan. I have eaten plenty of healthy food recently or diet friendly food but also eaten too much sugar. Today I was tempted by a tin of Quality Streets my neighbour kindly brought round with a card. A huge tin! It is now with Lara and I have asked her to take it out when she next gets together with her friends so I am not tempted to have any more. Yesterday I was doing well with my eating and had managed a dog walk with Judy and Jemima but in the afternoon I was unexpectedly in Tunbridge Wells shopping. 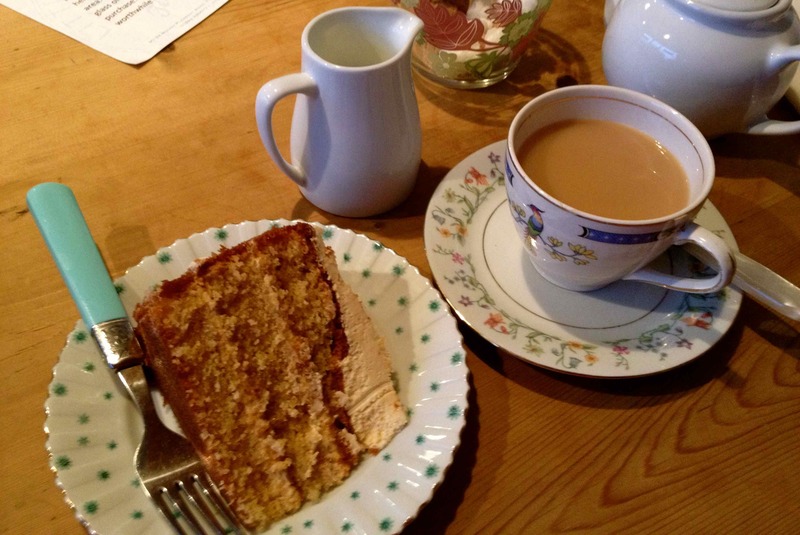 It was cold and wet and we spotted a cafe we had not been to before – Little Artisan Cafe. This was at the top end of the high Street near the Victoria Place shopping centre. I do love little independent cafes and we need more of them to break up the repetition of the boring coffee shop chains. 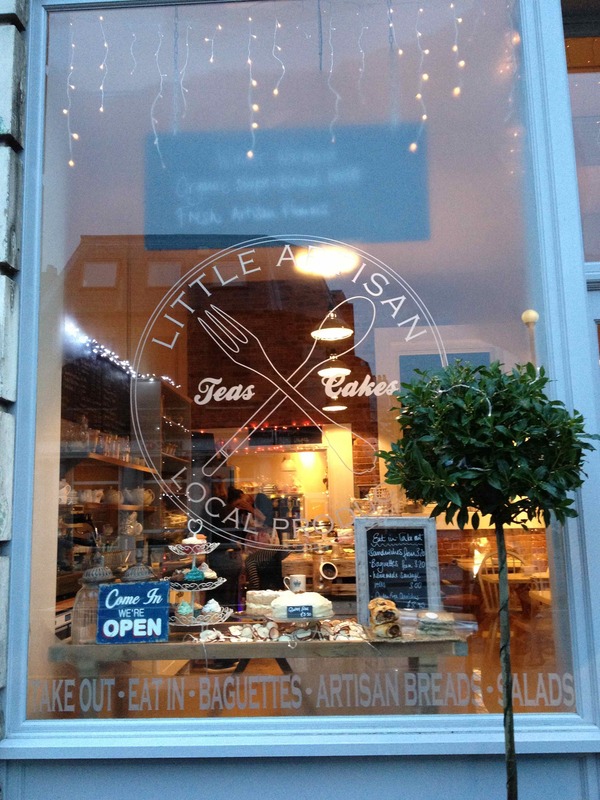 Little Artisan is definitely worth a visit. 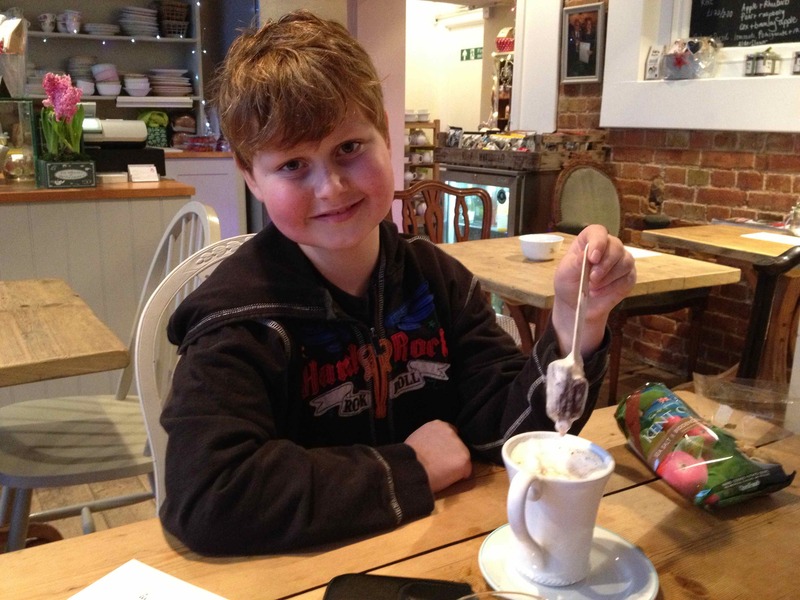 Harvey had one of the best hot chocolates he has ever had. They offered him a standard hot chocolate or a mug of warm milk with a solid chocolate lollipop to melt in to it. For the boy who is dairy intolerant, this was a real treat. He had a mug of foaming hot soya milk and the chocolate lollipop was solid dark chocolate with no milk in it. He loved the ritual of melting the chocolate in to the milk and then drinking it. I did abandon my sugar free diet completely in there as I could not resist the salted caramel cake. It was fabulous and worth every single sugar laden calorie. Just as a cake should be – light but moist and buttery with a generous dollop of whipped icing. Just gorgeous. A decent cuppa as well. The decor, furniture, furnishings, crockery and service were all great too. So if you are ever in Tunbridge Wells, go and try them out. I will go back for lunch one day to see if lunch is anywhere near as good as afternoon tea. So a mixed bag of eating, more exercise than I have done recently but not enough every day. I need to do better and I will. It does feel really good to have begun to relax. Happy Holidays. Good luck with the sugar consumption. When I read, it reminds me of many people quitting smoking, myself included many years back, where just one taste and there’s that craving back again for more. Besides, the healthier you can stay, the healthier you will feel. I also completely agree with you about farmed and wild. Here in Canada we are better to buy Wild Atlantic Salmon as opposed to Wild Pacific Salmon because of the radio active material making it’s way to the Western boarder by Vancouver and up, all from the Tsunami in Japan in 2011 that affected their nuclear plant. Keep having a great vacation and Happy Present wrapping! 😀 I like your Holly designs! Something else to think about with Salmon – thanks for passing that on. I will have to check whether the pack tells us if it is Pacific or Atlantic.